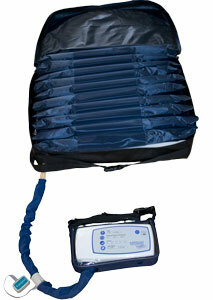 The Cushion is a battery powered alternating pressure seat cushion and control power unit. The device is an active alternating pressure seat cushion system and consists of a reliable pump and seat cushion providing the best pressure relief. It equips with a fully digitalized pump and each function made can be adjusted individually, such as cycle time and comfort range. It provides you the total pressure management control and runs on AC power supply or a Ni-MH rechargeable battery. Visual and audible operating status and fault indicator. Static or alternating therapy mode. 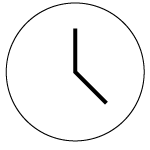 Cycle time is 10, 15, 20 minutes. 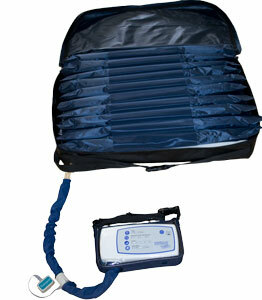 5 Comfort select to accommodate different patient weight. An audio alarm indicating low pressure or low battery, with alarm mute function. All cushions must be monitored to prevent 'bottoming out'. This occurs when the user's weight bears down so hard on the product material that it is flattened and the bony parts are pressed against the surface below the cushion. Where bottoming out occurs even with correct use (e.g. correct choice and depth of foam, correct inflation level) , a different product may need to be considered. Ensure that the item is not accidentally placed upside down or back to front. It is advisable that a health professional be consulted when considering a suitable pressure care product. 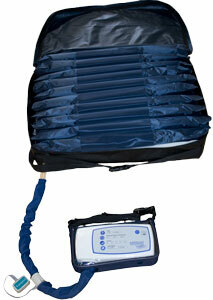 Powered alternating pressure wheelchair cushion. 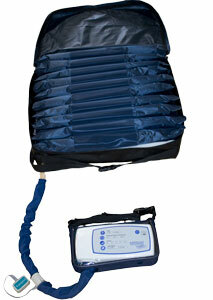 Designed to distribute pressures and stimulate blood flow. Rechargeable battery powered, portable fully digitized pump. Adjustable alternating pressure cycle time, adjustable comfort control. Safety features include battery status indicator, and low pressure alarm. Seat cushion is constructed of quality pliable nylon and breathable top cover. Seat widths 18” (APWC18); 22” (APWC22); 26” (APWC26); 30” (APWC30) . 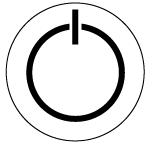 Power To turn on control unit. 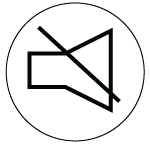 Alarm Mute Enable and disable the audible alarm features. Press this button to silent the audible alarm. Therapy To switch the therapy mode: alternating or static mode. Cycle Time To adjust the pressure alternating cycle time to 10, 15, or 20 minutes. 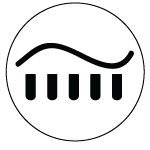 Comfort To adjust the comfort level according to user's preference or physician's suggestions. There are 5 different comfort levels and 1 is the softest and 5 is the firmest. The default setting is at comfort level 1. Low Battery Indicator - Low Battery Change light indicates the battery power is low. 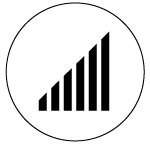 When the power in the battery pack becomes low, the low battery indicator flashes to indicate that only a few minutes of battery power remain. You must recharge the battery pact or use AC power source immediately. Low Pressure To indicate that the pressure has not reached to the preset setting. Battery Charge Indicator Change light to indicate the internal rechargeable battery pack is under charge. 1. Press the POWER button on the display to start the system. 2. Before cushion is fully inflated, user can change the comfort setting according to their preference or physician's requirements.